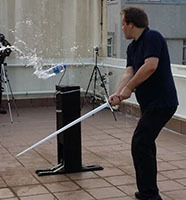 Ronin Katana was started in 2005 by Texan Chris Scoggin, who got sick and tired of buying Katana on ebay only to be continually disappointed and decided to do something about it. 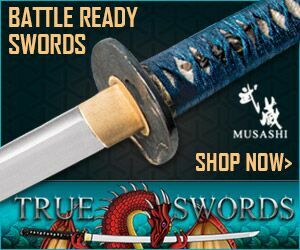 From such humble beginnings, Ronin Katana has grown to offer the worlds largest selection of katana and Samurai swords for sale on the internet with over 100 models to choose from. 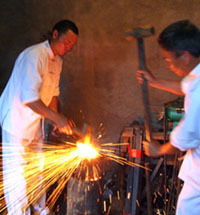 It all started when Chris traveled to the Mecca of Chinese sword manufacturing, Longquan city, met the owners of the major sword forges and spent many years working with them back and forth to create a line of Japanese swords based on the Dotanuki style of sword-smithing – swords with thick and powerful cutting blades that were so brutally effective that the style was actually banned during the peaceful Edo period of Japanese history! 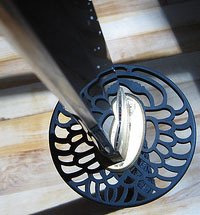 However, what was truly revolutionary about these 1060 monotempered swords was not just their durability and cutting power – it was also the use of unheard of, high quality materials in the overall construction – such as real silk ito wrap instead of cheap cotton, all iron fittings with tsubas copied from actual historical antiques and buffalo horn fittings on the saya – all for under the $300 price point. 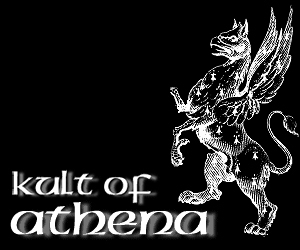 Another point of difference is that each year Ronin Katana sends out thousands of dollars worth of their products to be independently stress tested by respected, third party members of the sword community and take great pride in their products. Important: There is a 20% restocking fee on all returns for a refund. The sword must be in the same condition it was received. If you have used it or taken it apart, you own it. I do not reimburse shipping costs. 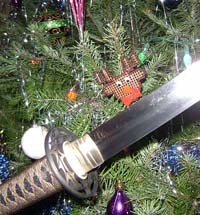 Damaged katana: Ronin must be notified via email within 3 days of receipt that a problem exists. 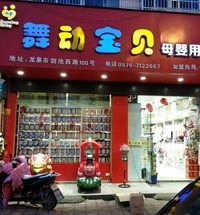 A RA number will be issued, and an even exchange will be provided. 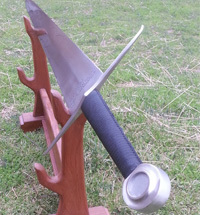 In addition to their sub US$300 Dojo Pro line, they also have some basic cutters made from 1045 carbon steel with real hamon and an Elite line of laminated, one off designs made by certified Master Sword Smiths forged once per year priced at around US$800. 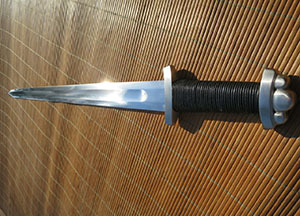 These are basic, 1045 carbon steel swords, tempered to produce a real hamon line. Fittings are quite basic but serviceable and they are primarily designed for light backyard cutting practices. 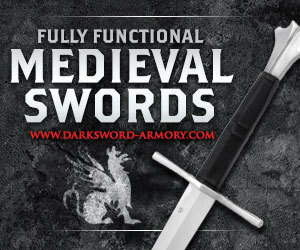 Extremely well heat treated and a more serious choice than any other similar entry level swords made from the same materials. Price is $130 plus shipping. 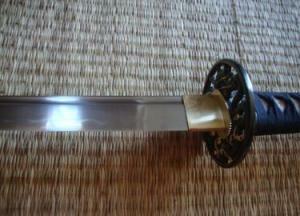 These are the Dotanuki swords they are famous for. The blades are made from monotempered 1060 carbon steel with a reputation for durability and raw cutting power. 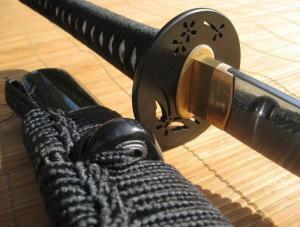 They have over 30 blades including O-Katana, Ko Katana, Wakizashi and a line with bo-hi (fuller) that are hand carved in the traditional manner rather than machine lathed. 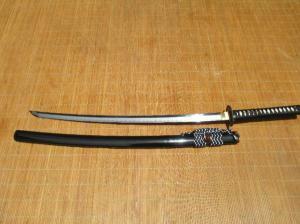 Price is from $294 to a maximum of $344 for the longer bladed models. 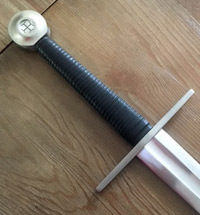 Made from through hardened 1075 carbon steel, Ronin Katana began introducing a line of medieval and Viking age European swords around 2015 and have not looked back. 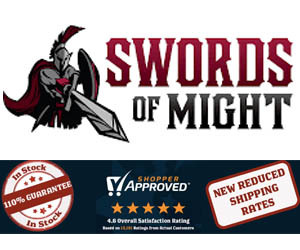 Expertly tempered, solidly constructed and ready to cut straight out of the box, this series has caused quite a stir and continues to expand adding even more new models, positioning them as one of the best suppliers of affordable cutting swords on the market for medieval sword enthusiasts. 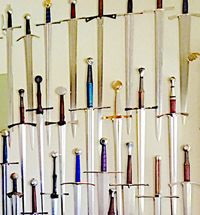 Each sword in this line up is hand forged by certified Master Sword Smiths in various complex lamination styles.Each sword is a one of a kind design in terms of appearance and fittings and are forged once per year. 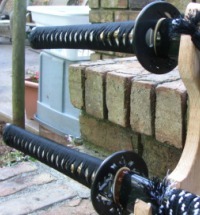 Price is $825 plus shipping and the amount of swords they produce makes Ronin Katana the largest manufacturer of complex laminated Katana in the world. Ronin Katana have been extremely transparent in their dealings and in conjunction with Sword Buyers Guide, traveled to the Forge in Longquan to shoot videos detailing how the swords are made and providing the sword buying public a rare behind the scenes glimpse into what goes into making their products. 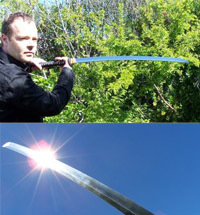 Occasionally an issue arises when a buyer, unaware that Dotanuki swords are SUPPOSED to be power cutters, find them too heavy for their personal taste (many sub $300 swords do not have a lot of steel in the blade, and while light, are incapable of heavy cutting). Not truly an issue per-se, but rather the result of impulse buying without reading the details. 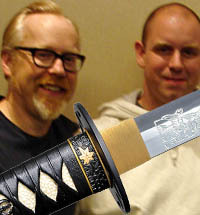 Other complaints tend to do with the saya. 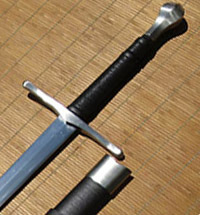 The first is that the swords are coated in lithium grease to protect the blades while in storage, and the first few draws will often have this residue appear on the blade. 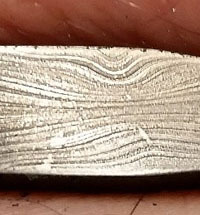 This does go away with time or can be removed with a gun cleaning rod, and is certainly not isolated to Ronin Katana – just they use more grease as they prefer a slightly waxy blade for the first few draws than a rusty sword sent to a customer. The second issue with the saya has to do with the use of buffalo horn “Kurigata” (the knob on the scabbard where the sageo cord is tied). 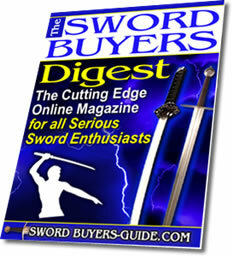 While other swords at this price point just use wood, occasionally atmospheric conditions during summer can cause the bond to weaken and the Kurigata to come loose. 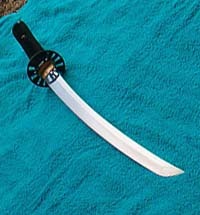 However, it is an easy fix (simply glue it back on) and when you consider the cost of Buffalo horn and its rarity at swords under the $1,000 price point, never mind $300, the occasional loose Kurigata is a small price to pay for what you get. 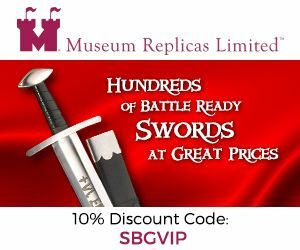 Ronin Katana are available at the SBG Sword Store HERE for the same price as the manufacturers site, but with a more generous return policy and lifetime guarantee against blade breakage.